Wednesdays & Thursdays: 8:30 a.m. In the service of the transmission of faith. That people, who are involved in the service and transmission of faith, may find a language suited to the conditions of the present time, in dialogue with culture. If you would like to have the Sanctuary Lamp burn in memory of a deceased loved one, or for a special intention, please contact the office. The cost is $10 and the Lamp will burn for the entire week. Cookies, Coffee and Conversation will be held the 1st Sunday of the Month, after the 9:30 a.m. Mass. The next one will be today, Dec. 2. The Catholic Register is available at the doors of the Church. Please take one, they’re free. Missals are available at the King Street doors. The cost is $5.00 each. FR. ANDREW will be away December 5 for a retreat for the priests. Let us remember him in our prayers. The office will be closed Thursday, December 6. There will be a Parish Staff Prayer Day. 8:30 a.m. to Noon. St. Eugene Staff will be joining us for prayers. ADVENT is here with us. Let us use the opportunity to grow in our faith and spiritual life. Advent is the First Season of the Liturgical Year. It brings us to prepare to meet Christ. Advent has a twofold nature: it prepares us for Christmas, when we recall Christ’s first coming among us; it is also a time we look forward to His second coming at the end of the ages. Advent is a time of joyful anticipation of Our Lord and Saviour Jesus. May you be led to a wonderful celebration of Christmas. It’s all about Christ! Happy Advent. PARISH THEME 2019: “Building Community and Growing Together in Christ”. This Liturgical Year we shall focus pastorally on building our parish community life and growing together in Christ. There would be programs and opportunities to do so. Look out and get involved. THANK YOU to the St. John’s Seniors Cards Club for donating $1,032.47 to our Parish. THANK YOU to Ginette Howatt for her special cash donation to our parish. THE PARISH BAZAAR COMMITTEE has presented to the Parish a cheque of $27,000.00 accruing from our 2018 Parish Bazaar. Many thanks to the Committee and all. May God bless all abundantly. A blessed and grace-filled season to all! Your servant in Christ, Andrew. From Dec. 1st to Dec. 16 we are asking for help in providing gifts for those in need. St. Vincent de Paul Society is calling upon you with a request to help the less fortunate during the Christmas season. The Tree will be located at the King Street foyer and paper Angels will be placed on the tree. The angels will say: infant, girl, elderly person, etc. with sizes and suggested gift ideas. General gift ideas include toys, board games, basketballs, mittens, hats, slippers, pajamas, movie passes, gift cards from Walmart, Tim Hortons or other places. The gifts will then be returned wrapped or in a gift bag with the paper angel taped securely to the outside of the package for identification. Place your gift under the Christmas Tree. All gifts must be returned to the Church on or before December 16th. If you are aware of anyone in the parish, a youth, senior or family who is in need of assistance this Christmas, please call the Rectory at 905-544-2100 and tell Rina or Lisa. Pick up will be from 3:30 to 5:30 p.m. in the hall. It is very important that you pick these items up. Thank you. We will meet in the Rectory at 7:00 p.m. on Thursday December 6. Wednesday December 12 at 7:00 p.m. at St. Gabriel Church in Burlington. Fr. Ted Slaman will celebrate this Mass on the Feast of Our Lady of Guadalupe. The address is 2261 Parkway Drive, Burlington. Advent Recollection & Confessions – December 19th at 7:00 p.m.
Christmas Eve Mass – December 24th at 7:00 p.m.
Christmas Day Mass – December 25th at 9:30 a.m.
New Years Eve Mass December 31st at 7:00 p.m.
New Years Day January 1st 2019 at 9:30 a.m. Regular Schedule Jan 5 at 5:15 p.m., Sunday Jan 6, 9:30 a.m. Jan 12 at 5:15 p.m., Sunday Jan 13, 9:30 a.m.
Confessions Thursday, Dec. 20th 7:00 p.m.
Saturday, Dec. 22nd 10:00 -11:00 a.m. 3:45 – 4:45 p.m. Blessing of Crib Mass Dec. 24, Christmas Eve 5:00 p.m. and 10 p.m.
Christmas Day Mass 11:00 a.m.
Mass December 26 Feast of St. Stephen 8:30 a.m.
New Years Eve. Dec. 3lst at 5:00 p.m.
New Years Day at 11:00 a.m. Both days are Holy Days of Obligation. Friday: Rev. George Nowak, C.R. Saturday: Rev. Pawel Szymanowski, C.R. The season of Advent calls us to be vigilant in anticipation of the Master’s return so that we live each day according to the teachings of Christ. Could God’s “particular task” for you be a call to a Church vocation? 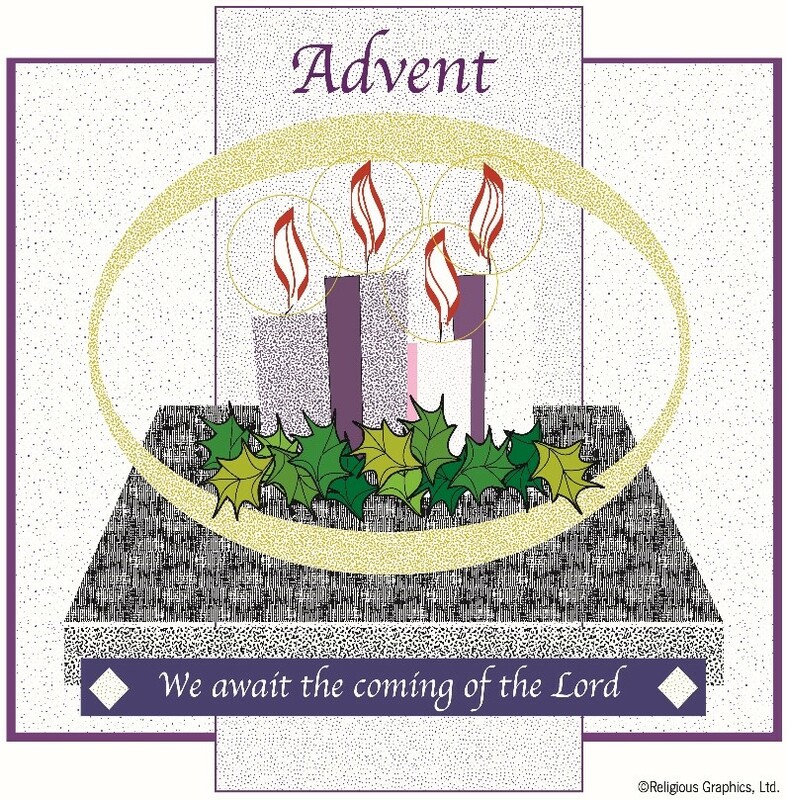 We celebrate Advent each year in preparation of the birth of Jesus, His first coming, as we await His second coming. In this Advent season, use the sacrament of Reconciliation to strengthen your relationship with Jesus. It’s never too late. Celebration of Life, Weddings, Stag & Does, Meetings, Fund Raisers and more. Kitchen and air conditioning. Full catering services available.